If you are considering kitchen renovation, READ THIS! If you are considering a kitchen renovation, consider adding high-tech features to make the space timeless. Cut the cords. There are many appliances that are now wireless and compatible with smart counter tops. Plus, a wireless kitchen reduces the number of cords, which is extremely important near kitchen sinks. 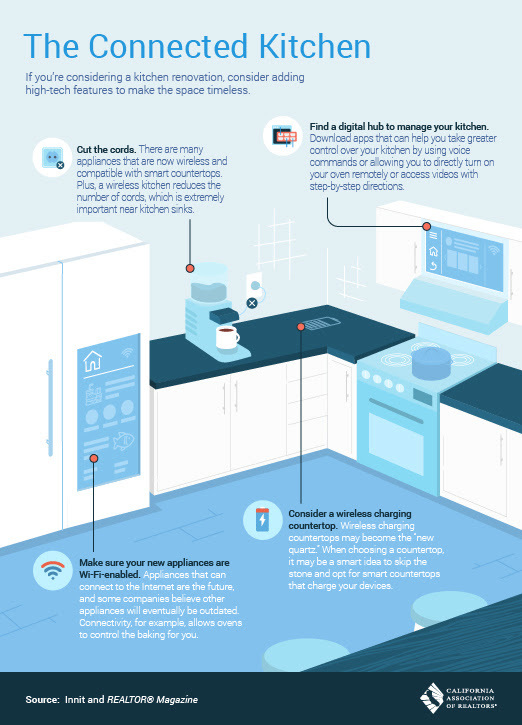 Find a digital hub to manage your kitchen. Download apps that an help you take greater control over your kitchen by using voice commands or allowing you to directly turn on your oven remotely or access videos with step-by-step directions. Appliances that can connect to the internet are the future, and some companies believe other appliances will eventually be outdated. Connectivity, for example, allows ovens to control the baking for you. Consider a wireless charging counter tops. Wireless charging counter tops may become the "new quartz" When choosing a counter top, it may be a smart idea to skip the stone and opt for smart counter tops that charge your devices.